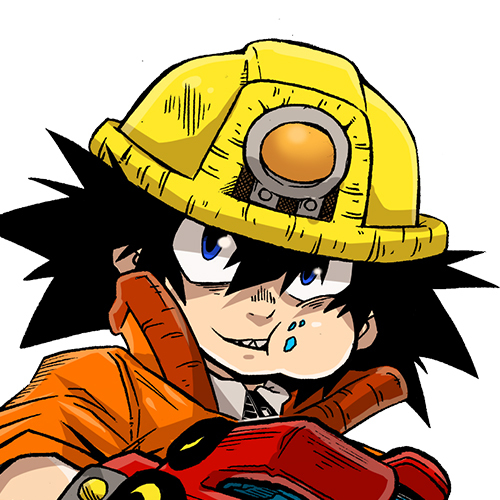 BEAST MODE MANGA WEBCOMICS HAVE A NAME! It. is. Saturday AM! We bring the hottest amateur webcomics to the table each and every issue, a virtual Shonen Jump but with more diversity!! Our SECOND ISSUE of 2019 is here! And it’s KNOWLEDGEABLE! and MANY INTERESTING and HIDDEN THINGS to SHOW! 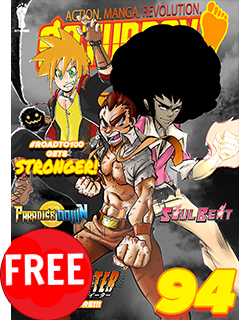 Get into the latest issue of the World's MOST DIVERSE Shonen Manga Comics anthology! ATTENTION: To Subscribe, scroll down to BUY YEARLY SUBSCRIPTION section. You read that RIGHT! $5 (USD) a year gets you 20 issues of the most diverse, EXCLUSIVE shonen manga anthology from new artists around the world! And if you want MORE? 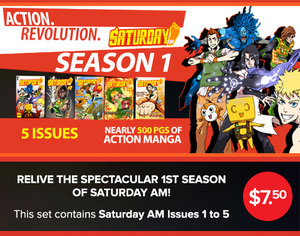 Get our PREMIUM SUBSCRIPTION to enjoy more new creators with the addition of Saturday PM! ATTENTION: This Subscription will include the current issue and all future issues for a year. Subscriptions DO NOT include previous issues. ATTENTION: These are single issue purchases only. This is NOT a subscription. To Subscribe, scroll back up to BUY YEARLY SUBSCRIPTION section. 1. IS THE $5.00 COST A ONE-TIME PAYMENT? A. Yes, you will receive our issues via email once released, for a whole year. We will also notify you via e-mail of the next year subscription date should you wish to participate. 2. HOW MANY ISSUES DO I GET FOR THE $5.00 SUBSCRIPTION? A. There will be 12+ issues of Saturday AM released a year currently. 3. 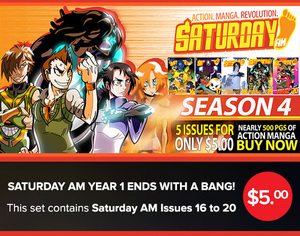 IF SATURDAY AM IS BI-WEEKLY WHY ARE THERE ONLY 20 ISSUES A YEAR? A. Saturday AM is still a start-up and with so many creators we felt it was important to build a buffer throughout the year. Many 'weekly' manga anthologies in Japan also do not ship all 52 weeks of the year so we hope readers understand. 4. IF I PAY $5.00 FOR A SUBSCRIPTION AROUND THE LAUNCH OF ISSUE 10 DO I GET THE PREVIOUS 9 ISSUES? A. No. We DID offer this at one time but the integration to maintenance of a library was too much and we heavily publicized our exit from this practice in February of 2014. As of now, we offer back issues at $1.99 and offer discounted bundles regularly. 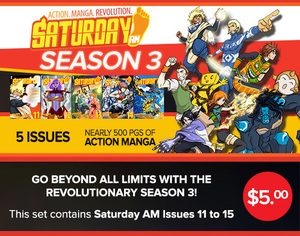 You purchase old individual issues separately for $1.99 (Some are FREE HERE at the bottom of this page or the regularly changing FREE 5 issues HERE https://www.saturday-am.com/freeissues ) or you can purchase Season Packs that contain 5 issues with discounted prices. 5. IF I PAY $30.00 FOR A PREMIUM SUBSCRIPTION AROUND THE LAUNCH OF ISSUE 10 DO I GET THE PREVIOUS 9 ISSUES? 6. WHY ARE THERE INTERVIEWS IN A MANGA ANTHOLOGY? A. We are a digital magazine first and foremost and featuring webcomics means that we want to shine a light on ALL DIGITAL CREATORS. 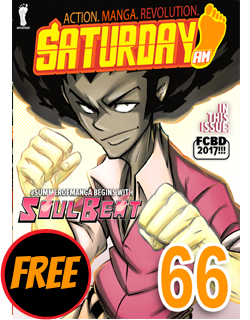 We firmly believe that the next big thing in media will come from the digital age and while we feature some big names (like WhytManga, Creator of APPLE BLACK) --we will always strive to cover new talent whether they are create comics for Saturday AM or not. 7. WHY DO I HAVE TO PAY TO READ MY FAVORITE MANGA WEBCOMIC, LIKE BULLY EATER, WHEN I USED TO GET IT FOR FREE ? A. We believe that webcomic creators are producing work as good as those from major publishers but given that they are independent -- anything could happen to prevent their great work from continuing. Injury, financial problems and the like are things that no one is immune to and so like you, Frederick L. Jones developed MyFutprint and Saturday AM as vehicles to help them continue their work to its' natural conclusion. $5.00 is less than some Happy Meals or Mocha/ Latte and yet, it will help to create an apparatus to keeping artists committed to their vision. 8. 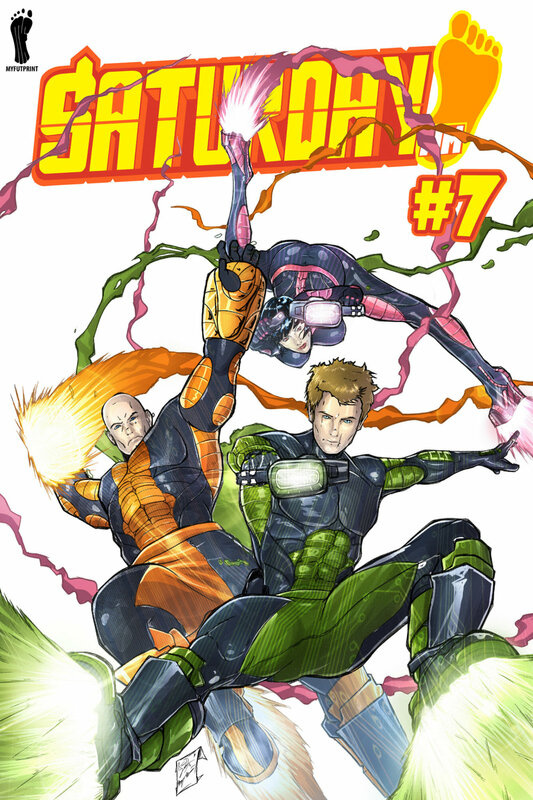 IF SATURDAY AM HAS THE HOTTEST MANGA WHERE IS MY PERSONAL FAVORITE MANGA WEBCOMIC? 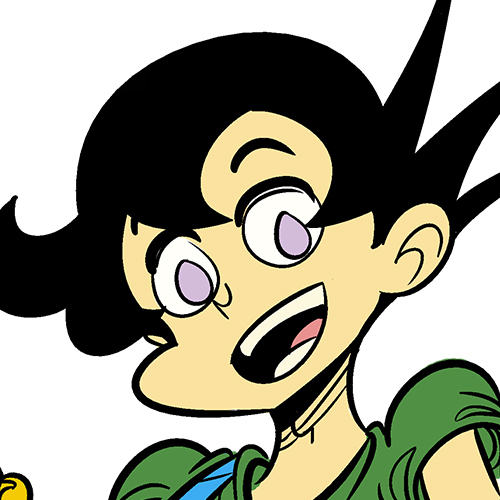 A. MyFutprint does not operate like other companies and Saturday AM is not like other webcomic sites. We are not big enough nor do we really want to be a place to find any and every manga comic like some other websites. We would rather have a few quality properties than hundreds of comics for you to click through and we think if you try Saturday AM you will find some comics you like and others you had never heard of. 9. I'M LOST. I BOUGHT THE SUBSCRIPTION BUT SAIGAMI HAD SEVERAL CHAPTERS ALREADY. HOW CAN I CATCH UP? A. As we mentioned before, the 'LIBRARY' of 2014 issues will be available for all subscribers but likewise, on our site we have some early existing chapters (some prior to Saturday AM / Nov. 2013) uploaded in the READ MANGA section. Each series’s home pages have links to their early chapters. Finally, expect details on our PRINT VOLUMES / SATURDAY TANKS / TANKOBONS that will collect existing chapters. 10. I BOUGHT THE SUBSCRIPTION BUT CANNOT FIND MY ISSUES OF SATURDAY AM--WHERE IS THIS "LIBRARY"? A. We are working with GUMROAD to resolve this and are investigating Cloud-Based Storage options as well. That said, the 20-Issues for $5.00 is a LIMITED TIME OFFER. Subscribers AFTER 8 March 2014 will still only pay $5.00 but "your mileage will vary". In other words, you will receive the issue available at the time of your subscription and all subsequent issues (i.e. start at issue 6 and you will get 7, 8, 9 through 20). In the meantime, customers should download the comic and save it onto their hard drive (desktop, mobile or tablet) in a folder that they can easily find/ recover. 11. IF I SUBSCRIBE TODAY, HOW WOULD I GET MY HANDS ON OLD SATURDAY-AM ISSUES? A. One would have to either buy the previous issues individually or purchase a the season packs available. The subscriptions are neither automatic access to all issues nor access to all already existing chapters of all our series. Some past issues are completely FREE HERE at the bottom of this page! 12. HOW DO I JOIN SATURDAY-AM? A. If you a serious creator, stay tuned to our annual #SummerOfManga contest held every summer, where we accept serious series pitches and pilots for a potential run in our digital magazine. We are big on INTERESTING AND ORIGINAL stories rich in diversity on all fronts including genre (sports, mecha, comedy, action, adventure, fantasy), nationality, species, gender, ethnicity, religion and more. The titles we publish are exclusive to us and creators still fully own their properties. A. Send in your questions to publisher@saturday-am.com! info@saturday-am.com! or visit our social media pages on FACEBOOK, INSTAGRAM, TWITTER.